Traveller: Travel News and Stories: Is this really Australia's best beach? Is this really Australia's best beach? Cossies Beach, located on the Cocos Keeling Islands in the Indian Ocean, has been named Australia’s best beach by beach expert and Tourism Australia Aquatic and Coastal Ambassador, Brad Farmer. Cossies Beach on Direction Island offers visitors an experience like no other with white sand, turquoise water, spectacular sea life, ferry rides often accompanied by dolphins and a wifi hotspot so you can share your experience with the world. “We are one of Australia’s best-kept secrets – paradise defined: safe swimming, crystal clear warm water, abundant marine life, friendly locals, picture postcard scenery everywhere you turn,” Cocos Keeling Islands Tourism Association Marketing Manager, Rik Soderlund, said. Mr Farmer and his colleague, Professor Andy Short, published their benchmark guide to Australia’s best beaches in 2012 and have spent the past five months compiling the latest Australia’s Best Beaches 2017. Prior to Mr Farmer’s visit, the beach did not have a name and was referred to as Direction Island, or DI to the locals. Mr Farmer named the small strip of pristine coast after Australia’s 26th Governor General Sir Peter Cosgrove, who like Mr Farmer was taken with the area’s spectacular beauty on a visit to commemorate the centenary of the Sydney-Emden naval battle in 2014. Mr Farmer and Professor Short assessed a raft of independent and scientific criteria to describe Cossies “as near to perfect as a beach can be”. It also happens to be Australia’s most remote beach. The Cocos Keeling Islands are made up of two atolls and 27 coral islands, of which only two are populated. Of these, West Island and Home Island, are inhabited with a population around 600. You can reach the destination via a four-and-a-half-hour flight from Perth. Visitors to the Cocos Keeling Islands can participate in a wide range of activities including kite surfing, snorkeling, scuba diving, surfing, fishing and birdwatching. Or, of course, just relaxing on Australia’s best beach. “We have so much to offer and many people don’t know that we exist or that we are even part of Australia. Now the secret’s out, we’re looking forward to sharing paradise with new visitors,” Mr Soderlund said. 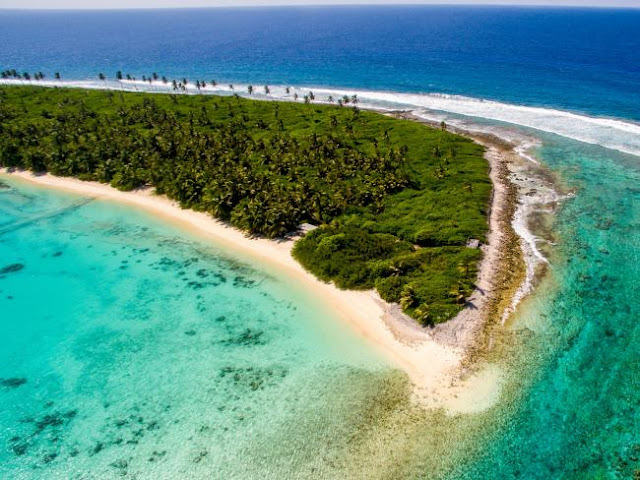 Offering spectacular snorkeling, world-class diving, excellent fishing and the adrenalin-rush of kitesurfing, the Cocos Keeling Islands are also a deeply tranquil holiday location. Relax on empty beaches, visit uninhabited islands by canoe, watch spectacular birdlife or catch the ferry to Home Island and discover the culture and traditions of the Cocos Malay people.